Location, Location, Location. This charming 3 bedroom, 2 bath unit is perfectly situated directly on Bocilla Lagoon and across the street from the Gulf of Mexico. You will have to decide whether to hop in the boat and go fishing from your private dock or cruise the 7 miles of quiet, shell filled beach. This property offers lots of character and plenty of space with a chair lift to assist up the stairs and lagoon and beach views. The screened front porch is an ideal place to enjoy dinner while watching the sun set into the Gulf. This property is located within the Colony of Don Pedro association which includes a community pool and tennis court. If youre looking for excellent investment potential, this is it. 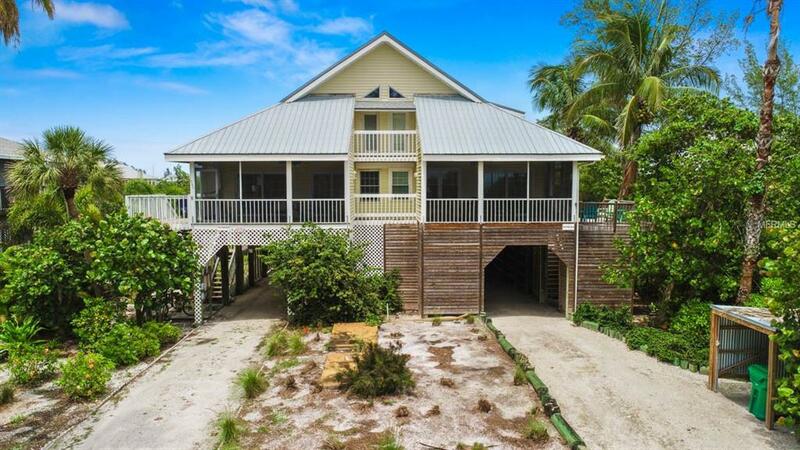 Palm Island is a unique hidden gem located just north of Boca Grande offering all the modern conveniences but allowing you to truly escape the hustle and bustle of mainland living. No traffic. No high rises. No crowds. Just mother nature at her finest.